Google Nexus family is a sell out on day one | What Hi-Fi? Google has sold out of its new range of Nexus products, even though they have only been on sale for a day. 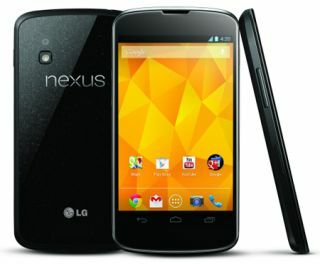 The LG-manufactured Nexus 4 smartphone became unavailable within an hour. The Nexus 10 tablet soon followed, as well as the 3G variant of the award-winning Nexus 7. All that’s left is a 'coming soon' notice, along with an option to be notified of future availability. It was a similar story in the US, where the Nexus 4 phone went on sale on the Google Play store, only to sell out in under 60 minutes. With no sales figures we don't know exactly how big the interest is in Google's new Nexus products, but the 'initial stock' has clearly been snapped-up. Running up to the Christmas period, Google has certainly shown that Apple’s grip on the tablet market isn’t quite as tight as it was this time last year. That said, Apple shifted some 3 million new iPads on the first weekend of sales for the iPad 4 and iPad Mini, so it won't be too worried yet. Look out for full reviews of the Nexus 4 phone and Nexus 10 tablet very soon.